Unfathomable Writings: Chuunibyou demo Koi ga Shitai! A strong contender for this season, Chu-2 is based on the concept of 'Eigth-Grader Syndrome' and makes a good impression of the difficulties kids can have differentiating reality from fiction. 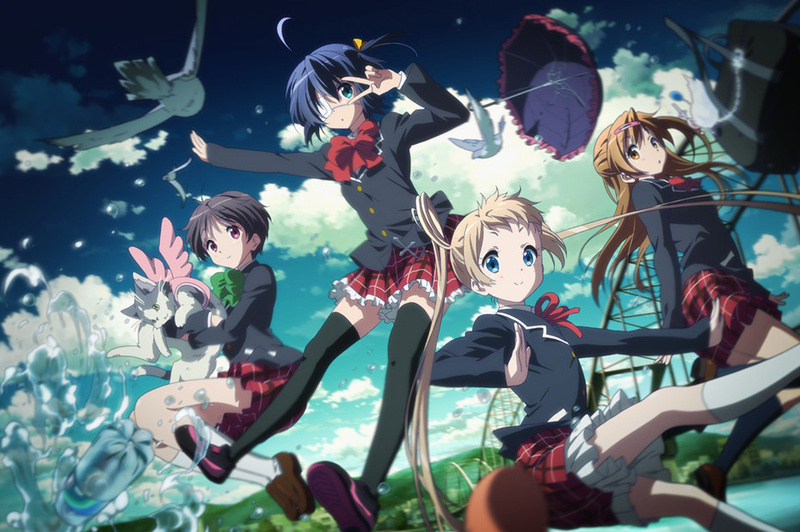 Chu-2 is a fun and entertaining anime with well fleshed out characters that you will just fall in love with. It also has one of the catchiest music intros I've seen in some time. The season starts with the protagonist, Yuuta Togashi, having recently recovered from the condition. He transfers to a new school, where he hopes he can lead a normal everyday life and forget the embarrassment of his past. It seems the fates were not smiling on him though, when his neighbour, the cute and completely insane Rikka Takanashi, discovers his hidden past and believes he really is the magician he pretended to be. 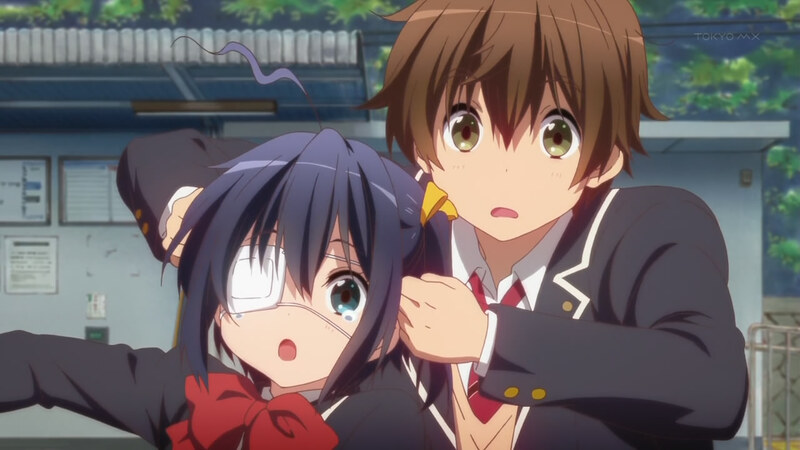 Rikka attaches herself to Yuuta, dragging him through a series of never ending hilarious antics. 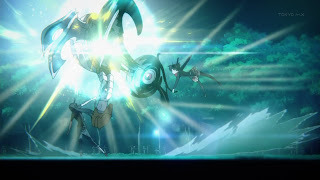 What makes this show so great is the amazing visual effects the artists added to portray how Rikka and other kids suffering from the syndrome see the world, including incredible, imaginary battle scenes between Rikka and her older sister, where her sister appears to be playing along with her delusions. As the story goes on, more and more characters who suffer from the condition are introduced to the story, who all end up forming a school club together; the Far Eastern Magic Nap Society. As far as 'Eight-Grader Syndrome' goes, the situations depicted in the show are exaggerated to the extreme compared to real life accounts, yet make for some of the greatest entertainment this season. I can only wait with baited breath for what crazy adventure Rikka will take us on next. After every episode I watch of this show, it never ceases to amaze me how deep and powerful the story is, and how well fleshed out the characters are. This show that started as some light-hearted fun has developed into a seriously emotional story that rivals any anime written to date. I suspect Chu-2 may just well be the anime to knock Sword Art Online off its position as best anime of the season. What a masterfully written finale. It's sad to see Chu-2 come to an end, but the journey there has stolen many people's hearts. Writers are going to be hard pushed to create an anime that can fill the massive shoes left behind by this show.